We, my 2 coworkers and I, created customer insight, concept and interaction design, and visual design. The insight phase of the project entailed several in-context interviews with students, professors, and a classroom observation session. The purpose of this phase was to gain an understanding of how students learn with their book, how the “nodes” concept would fit into current education practices, where it would be disruptive, and understand how it would work in practice. The insights helped understand and lead to a concepting and interaction design phase.This phase was to explore different ways of making the concept real. Concepting and interaction design was done through collaborative brainstorming among the team and with McGraw Hill. 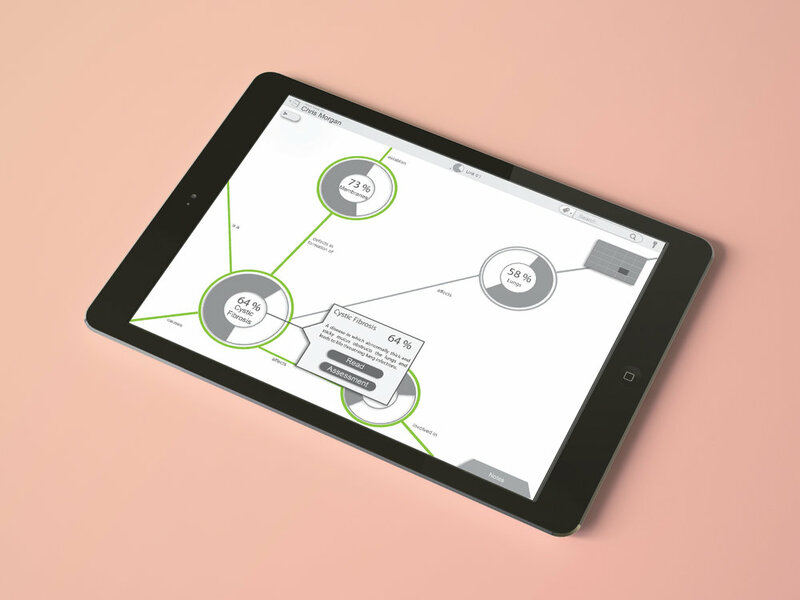 We produce design artifacts such as interface sketches and wireframes for use in concept validation research and internal socialization of the “nodes” concept. We delivered a document with all of the analysis and synthesis of findings from interviews and interaction design concepts. We presented the findings and concepts with to the client.